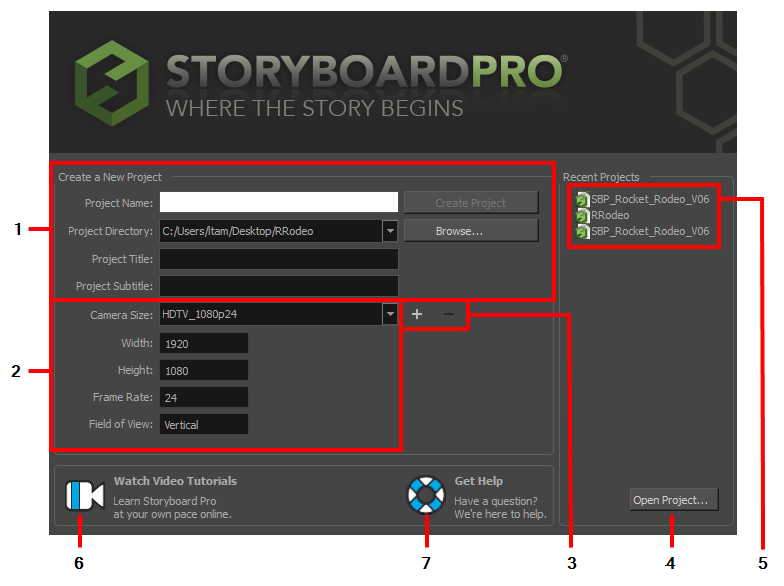 • Learning how to use Storyboard Pro. 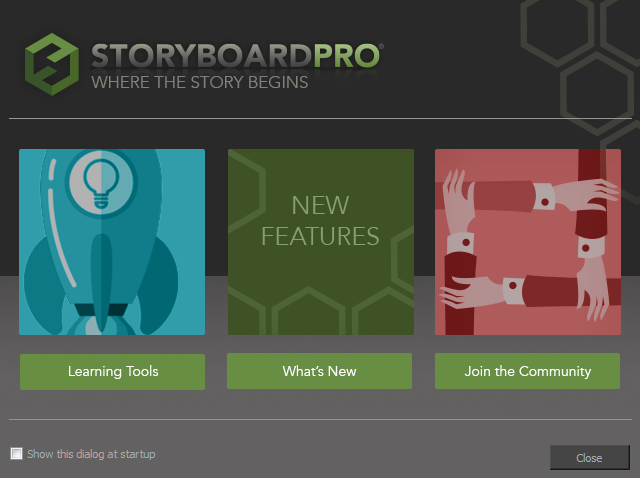 • Details on what's new in this version of Storyboard Pro. • Joining the Toon Boom Forum where you can mingle with other Storyboard Pro users, ask questions, and get answers to your questions. When you close the first Welcome screen, the second one displays. This is where you can create and open projects. However, if a scene is already open, you can display the Welcome Screen by selecting Help > Show Welcome Screen.